I never knew that quite a few number of people are waiting for me to publish this. Though I have spent most of my life in Delhi (born and brought up here) but had been out of Delhi for for a good long period of 9 years with brief, frequent visits until I finally moved back to Delhi for considerably long period of time earlier this year. Though this could be treated as a follow up of my last post on writing about my travel, places and foods, this is not quite that because as I said I have been in Delhi for most of life. Nevertheless, coming here again after 9 years, one thing I was super excited about was the food. Right from the chaat to faluda to cholle bhatoore (paneer paa ke) to the world famous Butter Chicken. And for some reason, I decided to go on a quest to find the Best Butter Chicken in Delhi. I had earlier done something similar in Hyderabad last year when I wanted to find out the best Biryani (will write about it soon). Getting back to Butter Chicken, I had in some conversations mentioned to a few people about this quest and I was surprised to see "follow ups" on the same and that is why I decided to pen it down. Though the quest isn't complete, you'll know why, I write here about the results so far. Unfortunately, I haven't yet found a contender for this spot and that is the reason that the quest is incomplete. This currently has to be Invitation, Ashok Vihar. They really have good tasting, appropriately sweet, aptly tangy Butter Chicken and if you were to ask me where should you go and try good Butter Chicken, as of now, this is what tops my list and would indeed recommend it. Mind you, this is not just based on one visit but has been ranked this high as a result of multiple visits to check on consistency in taste and quality. 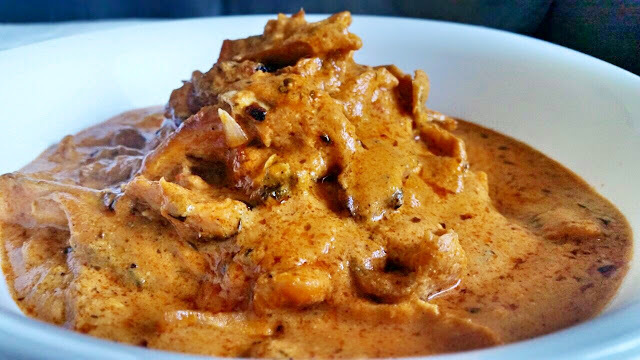 Since its about Butter Chicken, this post is limited to reviewing that only, for other aspects of the restaurant, you can read my review here. Number 3 right now has to be Galena, Connaught Place. As of now, yes this stands as the third best choice for Butter Chicken. That's it. As of now that's how the top three stands. The quest is still on. The Butter Chicken that you get at any of the above three places is anything but Butter Chicken. They wouldn't be a part of my list, irrespective of how long the list is. which I will be trying out, but given the reviews on Zomato, it doesn't seem like they would make a cut. Nevertheless, I will surely give them a try. If you have any other recommendations, do leave a comment, will look forward to try them out too.